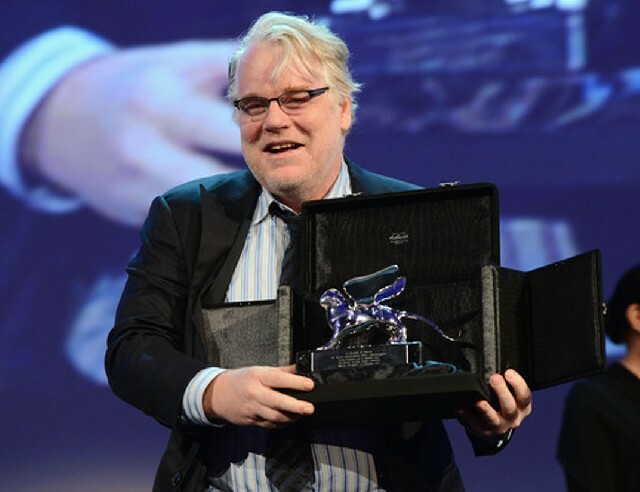 The 69th Venice Festival’s Golden Lion awarded “Piétà” as Best Film. Dubbed by the Italian La Reppublica “the shock film,” it takes its name from Michelangelo’s Vatican statue of Mary cradling the body of Christ. This powerful film is an explosive tale of poverty and brutality. An attempt at redemption, it describes a little thug (Lee Jung-jin) and the woman (Cho Min-soo) that arrives in his life out of nowhere claiming to be his long-lost mother. In the process, Lee Jumg-jin rediscovers his share of humanity in a hostile society corrupted by money. Deeply violent, “Piétà” takes the form of an ode at twilight accentuated by the spectacular beauty of its actors that confuse all realities; beauty becomes ugliness, ugliness becomes sublime. 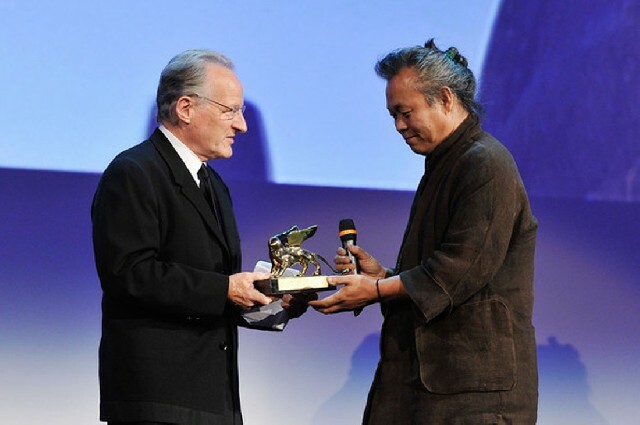 Standing on the Venice Palace Cinema’s stage, Ki-duk followed his grateful remarks by singing a capella in Korean. It was indeed a very moving and extraordinary moment. The leading actress of the film, Cho Min-soo, also accompanied him on the podium. They both were greeted with a very warm applause. The jury, headed by U.S. director Michael Mann, awarded a split, Best Actor prize to Joaquin Phoenix and Philip Seymour Hoffman; the protagonists of “The Master.” Paul Thomas Anderson’s film is based on the life of the charismatic L. Ron Hubbard, founder of the Church of Scientology. Phoenix plays Freddie, a veteran of World War II and an alcoholic whose life is transformed by his encounter with the “Master” played by Philip Seymour Hoffman, the prophet of a pseudo-scientific, medical-ideology, based on hypnosis and psychology that promise to save lost souls. At no time, in the memory of the 69th Venice Film Festival, have such a fierce plethora of religious films been presented and competed. The ten-day long Venice Film Festival reinvents itself with the nomination of Alberto Barbera at its helm after having lost its symbolic, economic and media battle since the 1980’s; first to the Cannes Festival followed by the Toronto Festival. The Mostra remains a stronghold and persists as the artistic and critical recognition arbiter. By simple juxtaposition and comparison of the respective festivals Berlin, Cannes and Venice’s charts, a selection at the Lido remains of inestimable value, the ultimate coronation. Mr. Barbera succeeds Marco Mueller that left unwillingly to head the competing Rome’s festival. Mr. Barbera is not alien to the festival as he was its director from 1998 to 2001. His appointment indicates a desire to reexamine the Venetian event. This energetic 62 years old man is motivated and determined to revive the festival. He is aware that the film industry context has changed tremendously requiring a reevaluation and renewal of the festival’s modus operandi on several fronts: economy, infrastructure and future endeavors. Under Marco Muller’s leadership and double mandate, the exceptional and revitalized festival’s film selection persisted. The Festival prestige has also remained intact because of its rich history and the recognized quality of its programming. However, Venice Film Festival has paid an international price due to the emergence of the Rome and Toronto festivals that have evolved and grown while Venice has remained somehow stagnant. Cannes, Berlin and Toronto’s festivals are the world busiest because they are major film markets attended by film industry professionals and buyers. While it is imperative to fulfill Venice’s mission of art house film (author cinema) defender, Venice cannot any longer persists as a showcase for these films as most festivals did until the 1980’s. Historically, the Festival has promoted filmmakers and marginal production houses such as many prominent Japanese filmmakers. Ozu Mizoguchi incidentally was discovered in Venice. This model can no longer be sustained. Mr. Barbera is reassessing Venice’s position in the context of the international marketplace by creating a Venetian film trade market. Many of the international buyers that have shunned the festival, as it did not allow them to do business have returned this year. The world financial crisis is affecting everyone, from independent films to big studios. The festival needs to build around this economic reality. This is also the best way to ensure the survival of art house film (author cinema) by including commerce hence; Venice has a primordial role to play. A renewal of the festival’s infrastructure and theatre renovations has already began with the completion of the former movie palace restoration. The filling of the huge unsightly hole after three years of malaise that swallowed millions of euros, disfiguring the Lido’s main square, not to be view or experience is also an important achievement. A new complex, with different theatres and a film market place are also planned on this site. Within three years, Venice will hopefully present a completely new face of the festival. Most importantly, Mr. Barbera is very proud of an ambitious project that will be implemented, the Biennale College, a permanent laboratory for young filmmakers. The College will invite and support three international directors, helping them realize their dream of creating and completing a long feature before premiering it the following year at the festival. “This is a commitment and a challenge as that there is nothing like it in the world,” states Mr. Barbera. The web will also to be exploited to promote and circulate the most sensitive films. The mostra is also testing, in its 500 seats virtual room, a new system that can allow to access and watch twenty of its selected movies in streaming from anywhere in the world. This year film selection welcomes many genres but it points to trends with subjects pertaining not only to the economic situation but also to crisis in moral values, human interaction, relationships and mostly religion. Beyond these films there is an unmistakable new movement notwithstanding the worldwide crisis affecting everyone on each continent. We are witnessing a pendulum effect where the art house (author films) films are once again invested in their role of mirroring differently and worldwide contemporary society’s ills. Ten years ago, the opposite was the rule, whereby many filmmakers were rather remote from reality, thus creating parallel alternative universe. Underneath this alarming economical state, young filmmakers are moving things in a positive, optimistic direction. With the availability of the digital camera, countries that have never submitted a film are appearing on the map, with young filmmakers that have a strong desire to make films. There is also a renewal amongst different generations fostering a better balance in world cinema production. Countries without any historical film precedents have submitted to the Festival DVDs such as Guatemala, Nepal and even Saudi Arabia, that the Festival screened, its first ever produced film, Wadjda. In Saudi Arabia, Islamic law forbids cinema, but someone managed to make a long feature, coincidentally, it is a woman. The subject of religion while timely comes back with a vengeance; images of video game to learn the Koran, virgins plaster, a necessary circumcision, a view of Mont Saint-Michel, another of St. Sophia, and the first work of a false prophet promise of a great future: an image compilation that alludes to too many pilgrimages. This elusive and intangible phenomenon called faith impresses this year’s festival both favorably and unfavorably. Among this anthology are Terence Malik and Paul Thomas Anderson films that luckily for Venice were not ready for screening at the Cannes Festival. Terence Malick “To The Wonder” focuses on the strained relationship between Neil (Ben Affleck) and Martina (Olga Kurylenko), who live together with her daughter in rural Oklahoma. Rachel McAdams co-stars as Neil’s former love, with Javier Bardem playing a priest. The Festival’s audience booed the film to the surprise of many critics present at the screening. 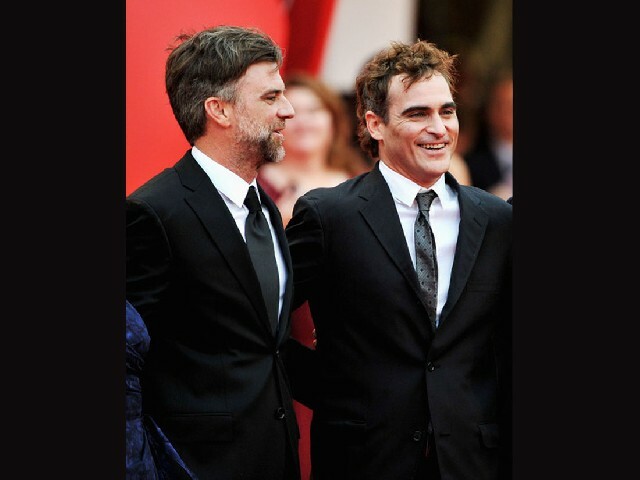 Paul Thomas Anderson “The Master” portrays the relationship between a charismatic spiritual leader and his troubled follower, inspired by the Scientology founder L. Ron Hubbard as the title character not the movement itself. Noteworthy, and out of competition is the four hours and a half marathon-projection of the Japanese Kiyoshi Kurosawa’s Shokuzai “Penance” was enthralling. This filmmaker that has been unable to film after the failure of his magnificent feature Tokyo Sonata – that we have missed – returns after several aborted projects. Commissioned by the Japanese cable TV, his film is composed of five fifty minutes tableaux vivants of a gently perverse criminal frieze, unfathomably beautiful. This is the story of young girls who over the years have lost touch with each other becoming adults while remaining ravaged by guilt after having witnessing and not have been able to identify the man who had killed one of them. The film unravels a spider network of neuroses, until the truth is revealed in an epilogue centered on the figure of the very venomous and magnetic grieving mother. The selection as in any festival has few exceptions worthy but not necessarily of the caliber of Penance such as Brian De Palma Redacted and Takeshi Kitano Outrage Beyond films. Austria’s Ulrich Seidl Paradises Glaube “Paradise: Faith” brings to mind Mike Leigh lengthy research, rehearsal and improvisation. However, it has a misanthropic viscosity. Xavier Giannoli, infamous Superstar moralistic satire is of the level of a TV set up where she seems despising everything she films. The hysterical, dusty tragic-comedy Sicilian “My father will kill me” of the Italian Daniele Cipri is picturesque. The talented Marco Bellocchio’s “Bella addormentata” (Dormant Beauty) new film with Isabelle Huppert is particularly powerful probing the discourse on the dignity of life and right to die controversial questions. Shokuzai “Penance” is by far the best film I have seen at the mostra. Despite the numerous films in direct contact with the world as it moves, rich in good intentions you wonder what they are doing, as they constitute more a montage of news images or news reels. We do learn a little bit more than reading six months ago newspapers. However, these films rarely express a memorable idea, gesture, or plan. As Da Palma and Malick’s films compete for the Golden Lion, the temperature is changing from stormy skies threatening to overflow the laguna to bright and sunny thus enhancing Venice mystique and magic.